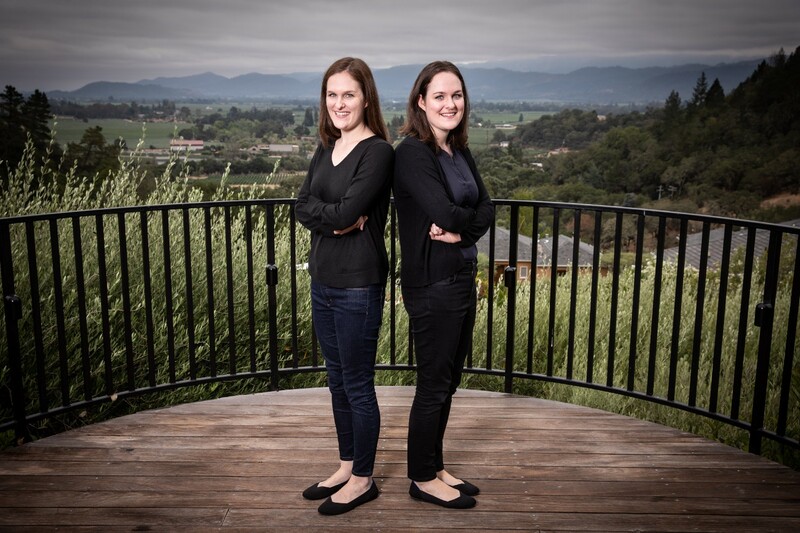 I had pleasure interviewing Justine and Olivia Moore are identical twins and venture investors at CRV, a leading venture capital firm that invests in high-growth tech companies. They majored in Economics at Stanford, where they also interned for several venture capital firms and founded a startup incubator for student entrepreneurs. After graduating, they spent a year at Goldman Sachs in Manhattan before moving back to the Bay Area and joining CRV’s investment team. Jean: Can you share your story about how you got into the VC space? Entrepreneurship is big at Stanford — it seems like everyone starts a company at some point! We heard from a lot of student founders that they wanted to explore an idea more seriously but weren’t ready to drop out and enter an incubator or raise funding. We decided to create Cardinal Ventures to bridge the gap between being a student and being a full-time founder. As an on-campus accelerator, Cardinal Ventures provides mentorship and grants to 30 student startups every year, many of which have raised venture funding and are still operational. Creating Cardinal Ventures gave us opportunities to interact with some amazing entrepreneurs and venture capitalists, and we found the experience of working with early stage companies to be really fun and fulfilling. We both interned for venture firms during our senior year at Stanford (Olivia worked at First Round Capital, and Justine worked at Cowboy Ventures). We transitioned back into VC full-time after spending a year at Goldman Sachs. We mostly invest in seed and Series A consumer startups, ranging from social media apps to marketplaces to direct-to-consumer brands. These companies usually have a product in the market and some early customers, but have yet to really take off and become a household name. We’ll occasionally work with earlier stage or later stage companies, as well. The specific traits or experiences we’re looking for vary based on the type and stage of company. In general, we look for exceptional founders who have a passion for the problem that they are solving and unique insights that will help their company succeed. We love to find founders who truly understand their target market and have a clear vision for how to build the best product or service for that demographic. We led the seed round for Harper Wilde, a D2C brand trying to disrupt the awkward and frustrating process of shopping for bras. We love the co-founders, Jenna Kerner and Jane Fisher — they spent more than a year iterating on the business model and product to create an easy and affordable way to buy high-quality bras. The customer feedback is fantastic and the company is growing quickly! We also participated in the most recent funding round for e-scooter company Bird. Before making this investment, our firm spent years meeting almost every company in the micro-mobility space. We knew that hubless vehicles could revolutionize urban transportation — e-scooters are better, faster, and cheaper than almost all other transport options for short trips. We loved that the Bird team was taking a thoughtful approach to building a global business in this space, and we are excited to watch them continue to execute on this vision. We generally feel that founders know how to run their businesses much better than we do — they are doing the hard work every day! However, after working with a number of early stage companies, we’ve learned that making good hiring decisions is crucial. Every member of a team, regardless of his or her role, can have a big impact on company culture. Many startups need to hire quickly to keep up with the growth of the business, but founders need to make sure that each new team member believes in the company’s vision and will act with integrity. We’re big fans of The Undoing Project by Michael Lewis. This book tells the story of the partnership between Daniel Kahneman and Amos Tversky, two psychologists who came to shape the field of behavioral economics. As consumer investors, we spend a lot of time thinking about how and why people make decisions that can seem irrational. The Undoing Project is not only a great primer on the factors that drive human decision-making, but also a fascinating story about an unlikely friendship that made a lasting impact on the fields of economics and psychology. We care about your personal story. We sometimes meet founders who want to jump right into graphs about their market sizing and metrics. We want to hear about you first! Your story helps us understand your motivation behind founding the company and why we should get behind your vision. Glossier is a great example of this — Emily Weiss’ background as a beauty blogger gave her the market insights she needed to launch a brand with a cult following (as well as a dedicated audience of purchasers!). Know your numbers. We look for founders who understand the ins and outs of their business. Know your KPIs — for consumer companies, these are often metrics like CAC/LTV, revenue run rate, gross margin, and cohort retention. Have an idea of what these metrics will look like before your next round, and how you will get there. Send follow-ups promptly. After a meeting, some VCs will ask you to send additional information like your pitch deck or updated metrics. If you think the investor would be a good fit, try to send along these materials as soon as you can! VCs meet with a lot of companies every week, but you can be top-of-mind by responding promptly and sending the information they need to advocate for your company with their team. Don’t take rejection personally. “It’s not you, it’s me” is very real in VC. We see many awesome companies that aren’t a fit for reasons outside the founder’s control. Many VC firms will pass if they’ve been burned in the past by a similar company or don’t have a strong sense for the market, and sometimes your fundraising timeline just doesn’t line up with their schedule. That doesn’t mean you won’t be successful! Take the time to evaluate them, too. Signing a term sheet is like entering a long-term relationship — you’re committing to partner with the investor through the ups and downs, likely over many years. You want to find investors that you are excited to work with. Don’t be scared to ask for references (and find some of your own!) if you’re considering taking an investment from someone. We’d love to meet another pair of sisters in tech — Anne and Susan Wojcicki! Anne is the co-founder and CEO of genetic testing startup 23andMe, and Susan is the CEO of YouTube. They’ve both built incredible companies, and we’d love to learn more about their journeys.